NORWOOD, MASS. – Patient travel is an often overlooked aspect of successful clinical trials, yet requires extensive coordination and expertise. Colpitts Clinical Trial Travel & Expense, a Direct Travel company, is celebrating 15 years of meeting this unique need within the biotechnology and pharmaceutical industries in the United States, Europe, and around the world with its full range of clinical trial travel services. Colpitts has also recently reached some major milestones within its expanding Clinical Division, which has grown ten-fold over the past 15 years – an indicator of how important it is for trial sponsors and CROs to recruit and retain qualified participants. 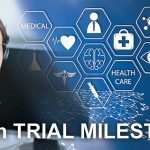 Travel services for clinical trials are particularly unique because of the complexities involved in maintaining confidentiality and FDA and HIPAA compliance. All of Colpitts’ Clinical Division coordinators work exclusively with clinical clients. They are all GCP-certified, and attend annual compliance trainings so that they are up-to-date on all the latest regulations. Colpitts’ client portal, which recently launched its tenth release to incorporate new features and functionality, is compliant with both HIPAA (U.S.) and European data privacy standards. The client portal maintains a high adoption rate, particularly with Colpitts’ clinical clients, as it facilitates efficient and private communication between clinical trial site coordinators and our clinical team. In the past 18 months, Colpitts has handled several million dollars of per diems payments and over 2,500 expense reimbursements on its reloadable MasterCard, which are available for trial participants. These cards have served as a major advancement in clinical trial travel logistics, as trial sponsors now save countless hours of time previously spent managing patient per diems and reimbursements. Colpitts is one of the only full-service travel and expense management providers dedicated specifically to the clinical trial sponsors and patients. Headquartered in Norwood, Massachusetts, Colpitts Clinical Trial Travel & Expense, a Direct Travel company, has offices throughout the United States, as well as offices in United Kingdom. With their International Travel Management network, Colpitts has access to more than 70 countries, $17 billion in purchasing power and the ability to deliver solutions customized to the needs of its biotechnology and pharmaceutical clients, while minimizing costs and ensuring regulatory compliance.